On behalf of our students, parents, staff, and community partners, I am excited to take this opportunity to welcome you to our school! At Robinson Elementary School, we take your child’s education to heart. Together, our administration, faculty, staff, students, and parents partner throughout the year to create the highest quality educational, social, and emotional experience for all students! We welcome the support of our parents and community! 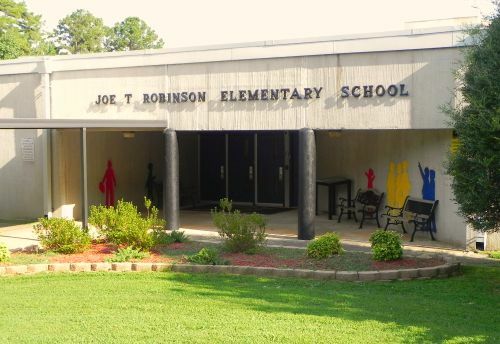 As this new school year begins, I am encouraged by the dedication and commitment of the stakeholders at Robinson Elementary to promote our unique school! We are small but rich in diversity! We believe our diversity enriches the learning experience for all at Robinson Elementary School! Please know that your support is very much appreciated here at Robinson Elementary! We are a hidden gem, and we excited to share our journey! We look forward to working with you to create the most successful school year at Robinson Elementary School!